The BLE (Bluetooth Low Energy) technology, and particularly the element Beacon-tag, is a valuable resourse, not only in the field of marketing, but also in the logistical/industrial area, mainly from the industry 4.0 / Internet of Things point of view. 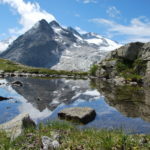 On the basis of this premise, from the beginning of the development of this technology, we have attributed to it the same peculiarities that distinguish us in RFID technology, making use of its characteristics, in terms of reading distances, low costs and low consumption, to give a considerable Plus to the traceability of things and people. We have therefore created the product range known as Beacony, the family of Beacon BLE 4.0 suitable for every need. Disk Beacony is the basic version of the Beacon BLE 4.0 range. 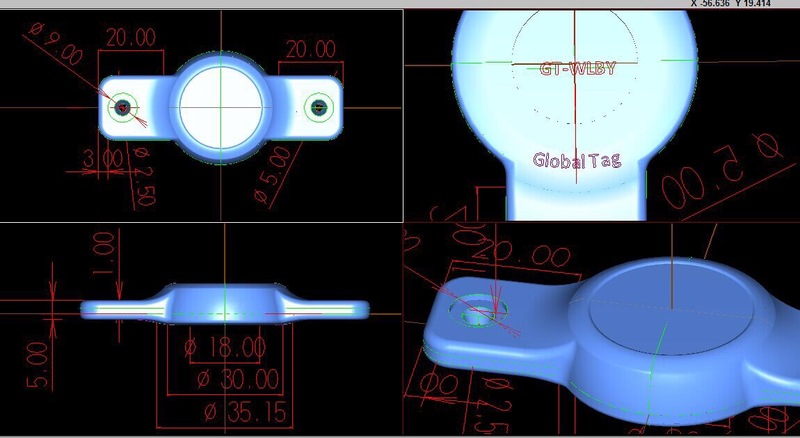 Small size tag, it can be supplied with or without accelerometer and temperature/humidity sensor. 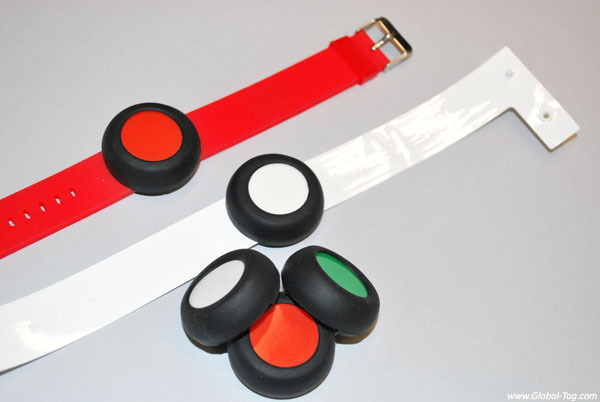 Watchcase Beacony is the BLE Beacon wristband that can be customized changing the form, the watchstrap and the clip. 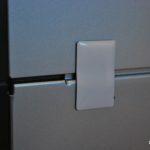 Available with NFC on board, but also with accelerometer and temperature/humidity sensor. 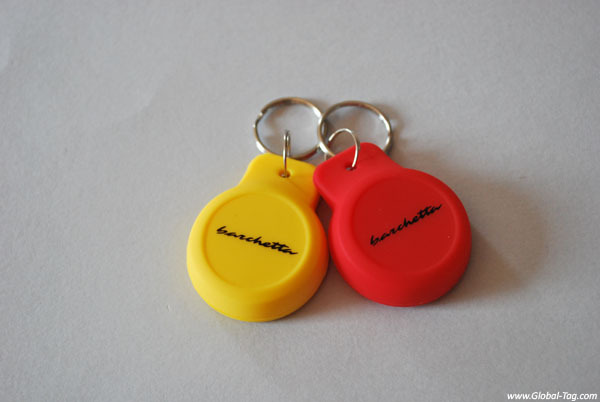 Keyfob Beacony is the BLE keyfob, with silicone case, dedicated to the people traceability. 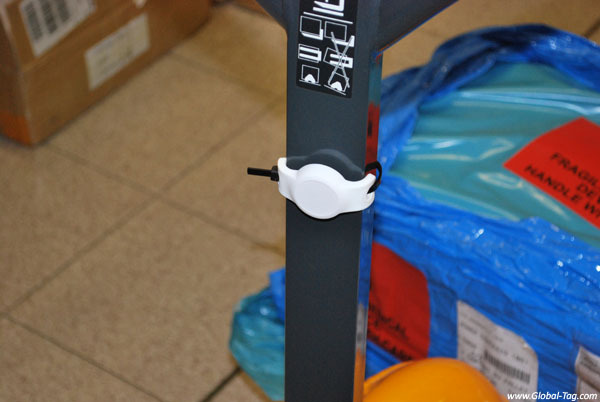 The tag can be equipped with sensors and it has many available customization options. Wall-Mount Beacony is the BLE beacon designed for fixed applications, because it can be applied, using the lateral holes, with screws or rivets. Available with or without accelerometer and temperature/humidity sensor. Anyway, in order to meet the most varied market requirements, specialisation was needed to enable the’ standard’ product to be overcome in favour of a product conceived as’ tailor made’, i. e. designed and developed according to the specific needs of the individual customer/project. Having the possibility to customize the shape, size and material of the Beacon housing is certainly a guarantee of success of the BLE project. Thanks to the flexibility that distinguishes our technical department, we are ready to carry out any modifications based on customer requirements. 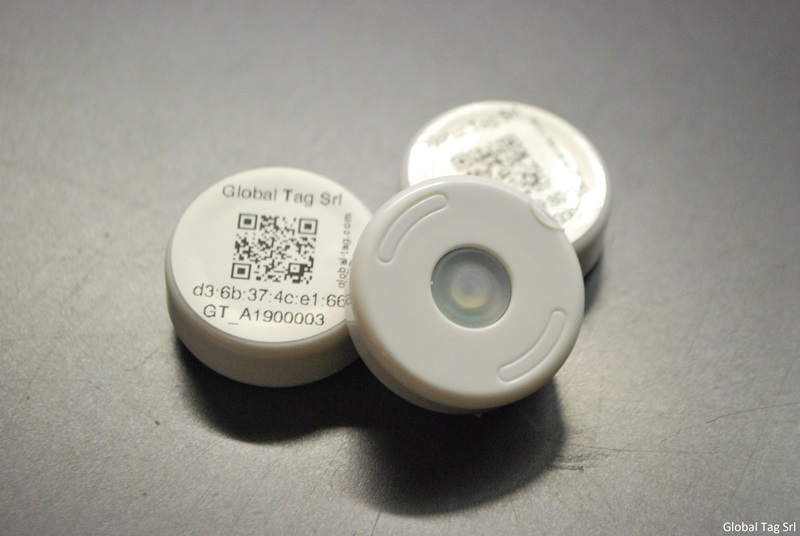 Printing customization is another feature that is often required to make the Beacon BLE 4.0 tag even more “custom”. In fact, it is possible to print on the plastic or silicone case of our tags, prints that include logos, serial, barcodes, QR code, etc…. 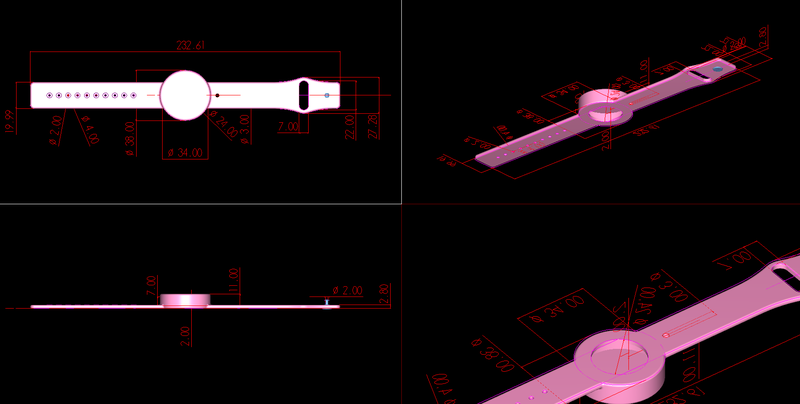 In addition, we are able to meet the demand for customization of the electronic component. Also in this case the requests can be various: from the simple modification of the button (or its removal), up to the change of the battery holder type, or the ex-novo realization of the whole electronic board or customization of the sensor system (where applicable), from the addition of the DC/DC converter up to the implementation of external sensors with probe. Altough the standard chipset used in the product range “BLE Beacony” is Nordic NRF52810 (available, optionally, with sensors), we are able to develop custom and flexible solutions, starting from different chipsets. 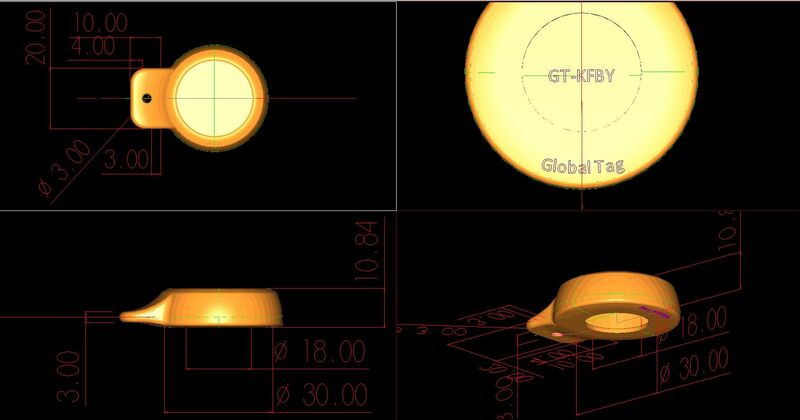 Because of the existence of a previous project -for example- it can be necessary to keep the previous chipset, which can be different from our catalogue’s ones. Alternatively, the creation of a firmware developed specifically for a chipset requires its forced use by the customer. In some projects, it is necessary to customize the firmware to optimize or implement new services or beacon-specific features, to make it fully compatible with the needs of the BLE project. In this case the customer already owns the firmware, because it was previously implemented in other beacons or because, as developer, the customer (Software House) prefer to manage the development internally. From this assumption, and provided that the FW is compatible with one of the available chipsets, we are able to implement the FW inside the beacon. Alternatively, if the customer wants to be totally autonomous, we are able to supply the Hardware instrumentation and technical skills necessary to replace the firmware. The second option is represented by the development and/or the change of the firmware by our technical department. In this case the client informs us about the required technical specificationse and our team carries out all amendments necessary for the project. This is followed by a test phase that certifies the quality of the work and the consequent conformity of the product. Manifestazione di consenso: prendo atto che proseguendo con la registrazione consento il trattamento e la comunicazione dei dati di cui sopra per le finalità indicate nell'informativa sulla privacy, consapevole che in mancanza di tale consenso non potrò registrarmi per la richiesta informazioni.